This was said by one of my heroes, St. Augustine, and those two sentences spoke so much to me. It is my new favorite quote. And one that I wrote in the front cover of my Bible (on a page that’s only dedicated to certain life-impacting quotes, so this one is definitely special). We will never understand why certain things happen to us. We will never be able to grasp God’s sovereignty. But through faith we know that everything that transpires in our life is conducted by His almighty hand and nothing goes unplanned or unseen by Him. Life is a struggle. Every day brings new challenges, new trials, new wounds. But if we rest assured in the power of His will and that He holds to the promise that all things work together for our good (Romans 8:28), we can look for the beauty in the pain. Beauty in not only what He is making us to be. But the beauty of His glory. Because all things happen for whatever purpose He has, and in the end, all to bring Him glory. 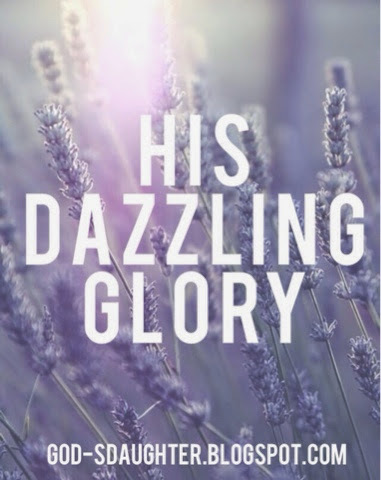 And His glory is something to behold. Something most dazzling. I loved this :) I've been learning also lately that God's beauty is real and amazing and here even in the midst of our troubled days. I've been coming to be so thankful for Him might power and glory every single moment. This post really reflected a little of what's been on my heart lately.